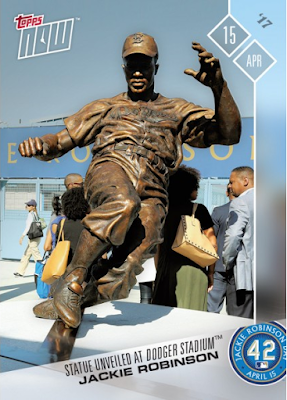 Firstly, there is a card celebrating the #42 -- which was worn by every Major League ballplayer in uniform on Saturday. 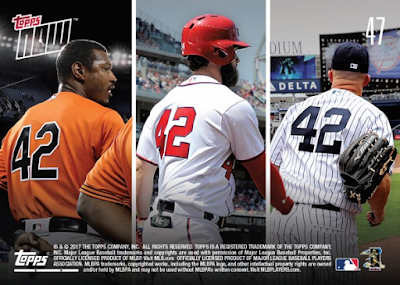 Six different players are featured; including Corey Seager. This card has a print run of 442. The second Robinson 2017 Topps Now card celebrates the dedication of the first statue at Dodger Stadium. Check that out below. 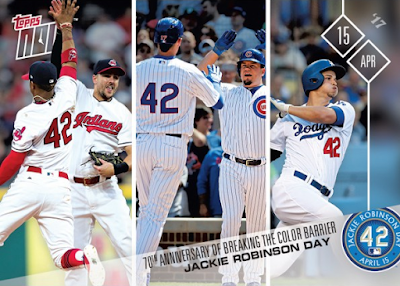 It has a print run of 461 cards. 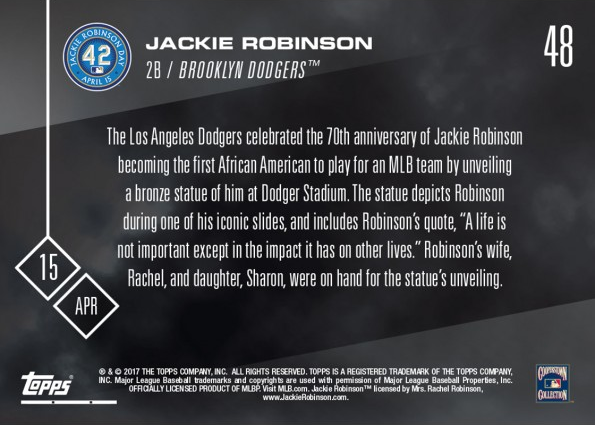 The Los Angeles Dodgers celebrated the 70th anniversary of Jackie Robinson becoming the first African American to play for an MLB team by unveiling a bronze statue of him at Dodger Stadium. The statue depicts Robinson during one of his iconic slides, and includes Robinson's quote, "A life is not important except in the impact it has on other lives." Robinson's wife, Rachel, and daughter, Sharon, were on hand for the statue's unveiling.